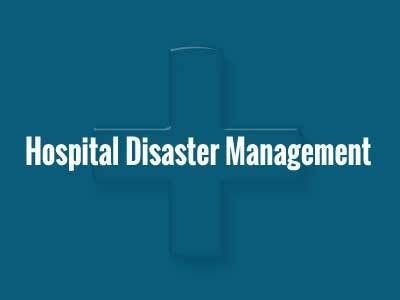 In its efforts towards ensuring the structural and functional safety of hospitals so as to minimise risks to human lives as well as critical healthcare infrastructure during and after disasters, the National Disaster Management Authority (NDMA) conducted a meeting with experts from various stakeholder organisations. The meeting, organised in collaboration with the Asian Disaster Preparedness Center (ADPC), aimed at contextualising the need for hospital safety as a national priority in the overall scheme of Disaster Risk Reduction (DRR) initiatives. Recounting the Nepal earthquake experience to highlight the importance of structural and functional safety of hospitals, Shri R. K. Jain, Member, NDMA, emphasised on the need to coordinate with all stakeholders to make public health infrastructure risk resilient. A detailed discussion was held on the nuances of using the NDMA guidelines on Hospital Safety for preparing Hospital Disaster Management Plans. The Guidelines, issued in February last year, envisage structural and functional safety by mainstreaming disaster prevention, mitigation, preparedness and response activities in all hospitals across the country. Sharing information and experiences in implementing hospital safety and preparedness programmes, participants highlighted the need and importance of hospital simulation exercises to address issues relating to patient safety in disaster situations. The concept of structurally safe and energy efficient green hospitals, which have been increasingly gaining importance across the country, was also discussed as a holistic approach to hospital resilience relating it with DRR, Sustainable Development Goals (SDGs) and Climate Change Adaptation (CCA) frameworks. The need to strengthen hospitals by way of regular capacity building trainings and exercises was also discussed. Participants also reviewed and analysed the existing training programmes and suggested a roadmap to standardise the same as per the NDMA guidelines. On ADPC’s role in capacity building of hospitals, Mr. John Abo, Chief of Party, HOPE, South Asia, said, “ADPC, through its HOPE (Hospital Preparedness for Emergencies) courses, aims to develop the capacity of public hospitals in managing emergencies by establishing a sustainable training programme in partnership with multi-disciplinary stakeholders.” ADPC conducts such preparedness courses in collaboration with various regional partners to strengthen hospital disaster resilience. Recommendations arrived at during this meeting will be discussed further at the upcoming National Platform for Disaster Risk Reduction (NPDRR). The NPDRR, which is being jointly organised by Ministry of Home Affairs (MHA), NDMA and National Institute of Disaster Management (NIDM) in New Delhi next month, will bring together all stakeholders to review the progress made so far in the field of DRR and suggest ways to improve disaster resilience in the country. NDMA Members Lt. Gen. (Retd.) N.C. Marwah and Dr. D.N. Sharma chaired various sessions during the day-long event and provided valuable inputs. ADPC’s representatives Ms. Mona Chhabra Anand and Dr. Geetanjali also participated in the discussions. Senior officials from NDMA, World Health Organisation (WHO), National Institute of Health and Family Welfare (NIHFW), Hospital Boards of India, International Committee of the Red Cross (ICRC), Indian Medical Association (IMA), National Accreditation Board for Hospitals & Healthcare Providers (NABH), administrators from All India Institute of Medical Sciences (AIIMS) and Safdarjung hospital, and doctors and organisations with expertise in disaster healthcare attended the meeting.